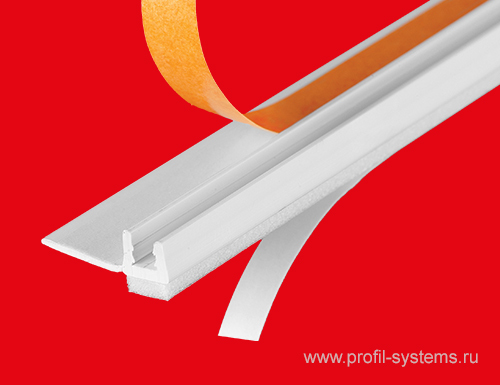 The profile is used for reinforcement and alignment of a plaster layer of vertical and horizontal external and internal angular zones on facades of buildings, including the installation of thermal insulation system of plaster type. It can be used for internal plastering. 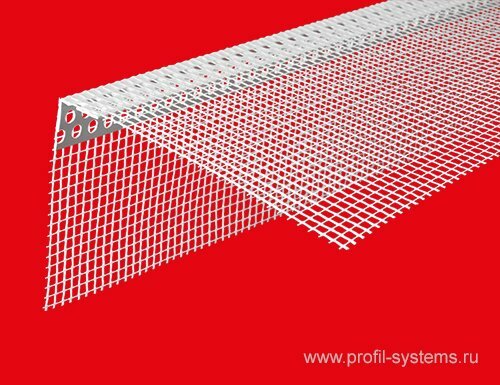 made of impact-resistant;, weather-resistant and alkali-resistant polyvinyl chloride (PVC) with glued fiberglass mesh with a density of at least 145 g / sq. m.